The Alligator That Won't Bite Back! 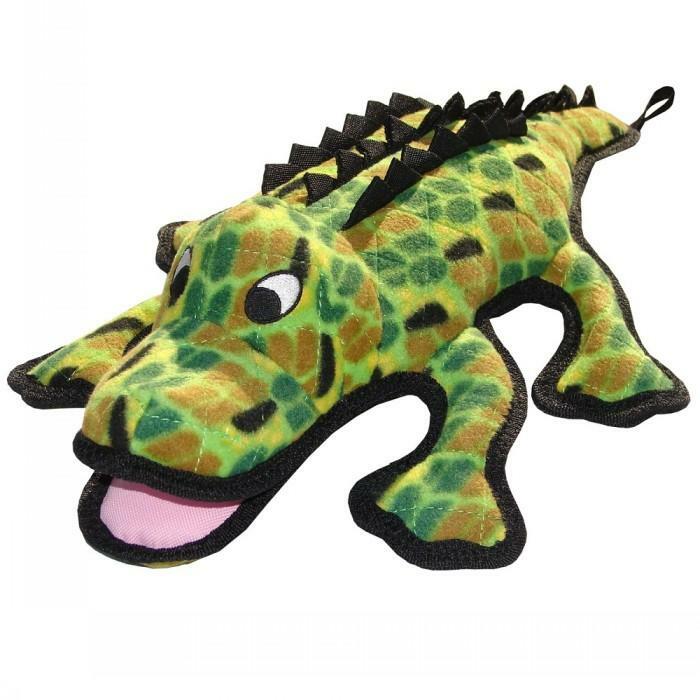 This friendly alligator will make a great & durable soft toy mate for your dog. Cuddly and fun for most dogs. The chew rating on the Tuffy Scale is 5 out of 10. This makes him a great companion for average chewers but not a great match for the wildly chewing motivated canine. Would he beat the strongest of dog toys? Not this one. But would he easily win a fight with most regular strength dog toys? Absolutely! What's great about the Gator? 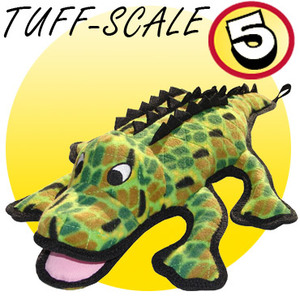 Read 1 customer review of Tuffy Toys Gary Gator. The average customer rating is 3.